The anti-crime department of Misrata published a video ‘confession’ of an ISIS member who revealed details of the beheading of Egyptian Coptic Christians in 2015. On 10 December, the Derna Mujahideen Shura Council (DMSC) undertook a raid on an ISIS cell in Derna that concluded with the arrest of the entire cell and the death of ISIS member. Ismail Kamoka and four other Libyans have successfully won a legal case to sue the UK’s M15 and M16 for unlawful detention and the unlawful use of counter-terrorism control orders. 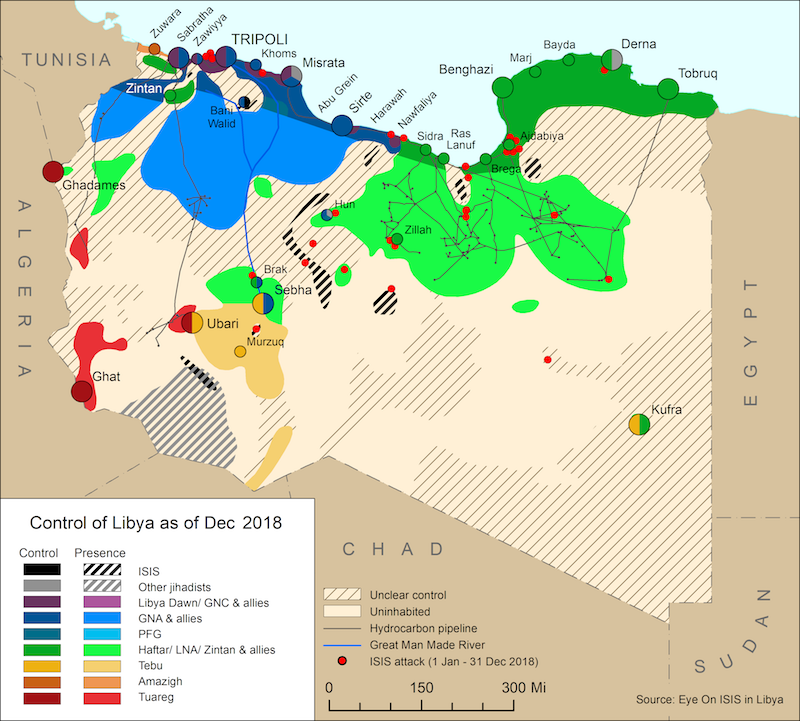 On 7 December, Human Rights Watch released a statement detailing the destruction of two historic Sufi mosques this year in Tripoli. On 10 December, Libyan military officers met in Cairo for the 4th round of the Libyan army unification talks. On December 4, Fayez al-Serraj and US Secretary Steven T. Mnuchin discussed the importance of continued cooperation between the U.S and Libya in countering the financing of terrorism. On 6 December, UN Envoy to Libya Ghassan Salame co-chaired the official launch of the voter registration process for elections in 2018. 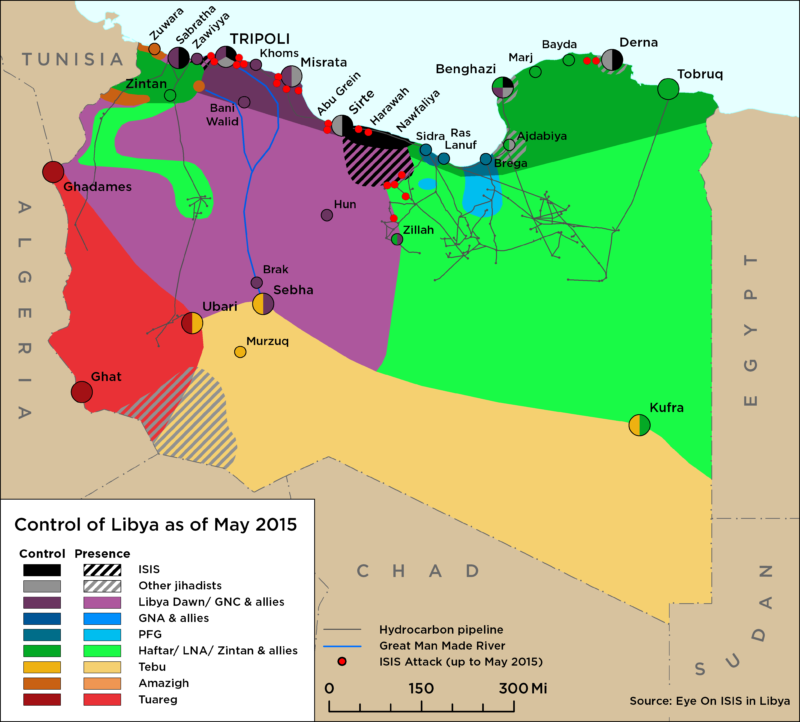 On 8 December, almost all of Libya’s mayors and municipal councils met in Tunis. The newly formed ’17 December’ movement called for civil disobedience in Tripoli and for LNA control of the city.